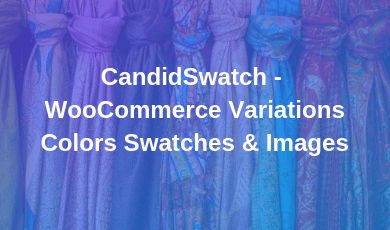 CandidSwatch – WooCommerce Variations Colors Swatches & Images plugin provides a nicer way to display variations of variable products. This plugin will help you select style for each attribute like color, size or quantity. 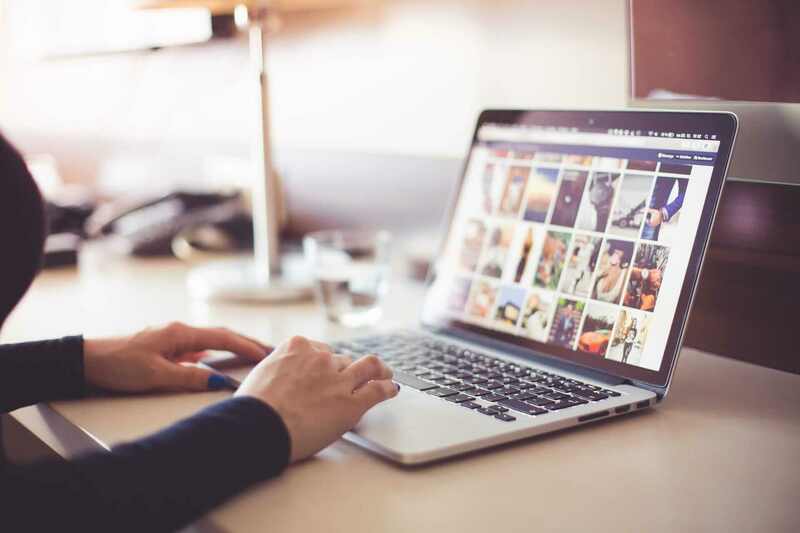 Shoppers appreciate visual representations of product attributes when using your store, and it can help present a polished and clean look. 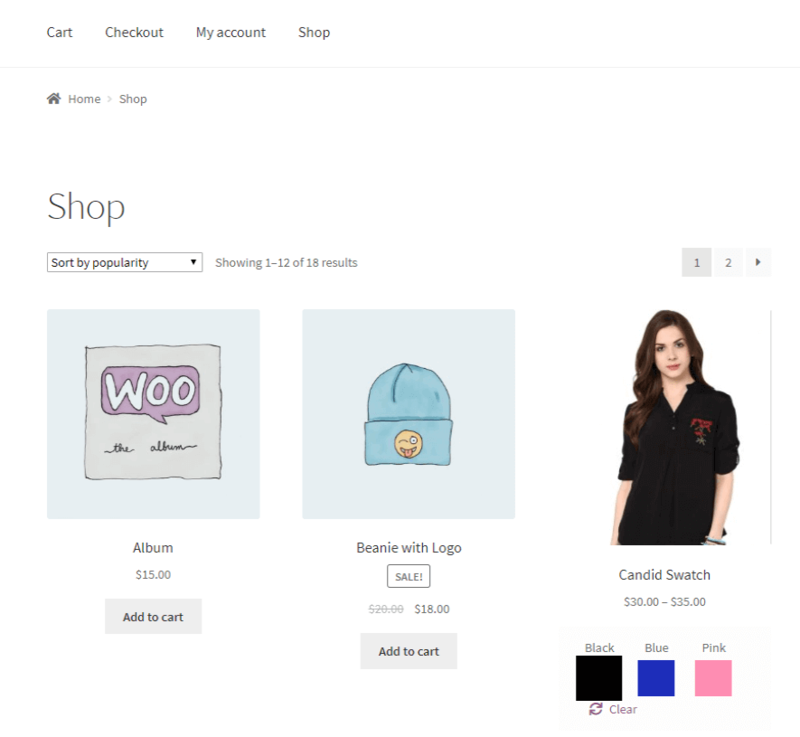 CandidSwatch – WooCommerce Variations Colors Swatches & Images is the answer if you are looking to edge out the competition. This feature provides a much nicer way to display variations of the variable product. Show Variation Swatches on Shop, Archive and Categories Pages. 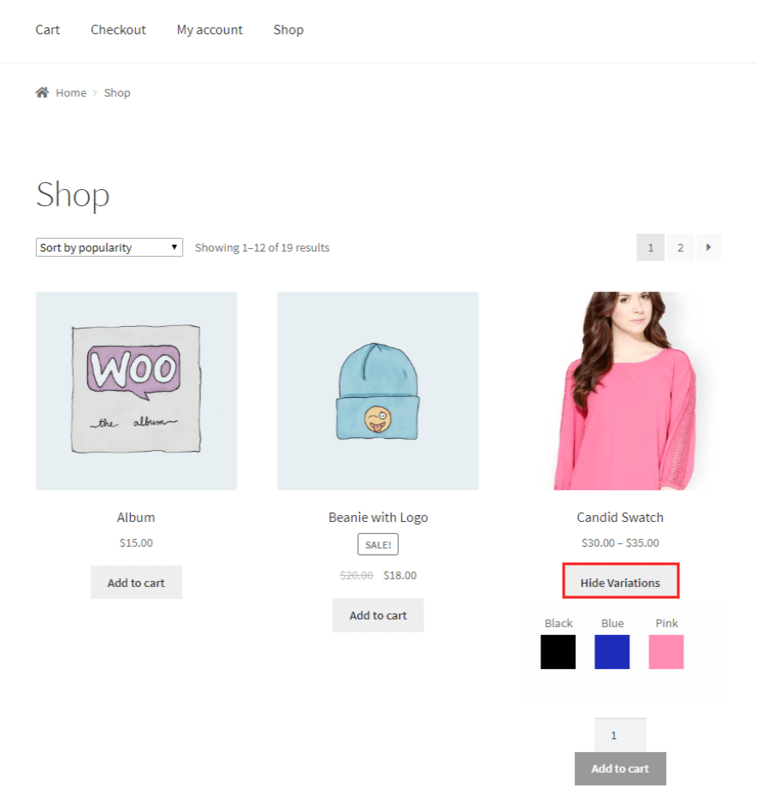 Adding Variable products to cart from Shop, Archive and Categories Pages. Licensing panel for verification purpose. Admin can add color and image swatches for attributes. Admin can add color and image swatches for each variation custom attributes. Admin can use both select and color and image swatch combination. Show Attribute text above Swatches. 1. 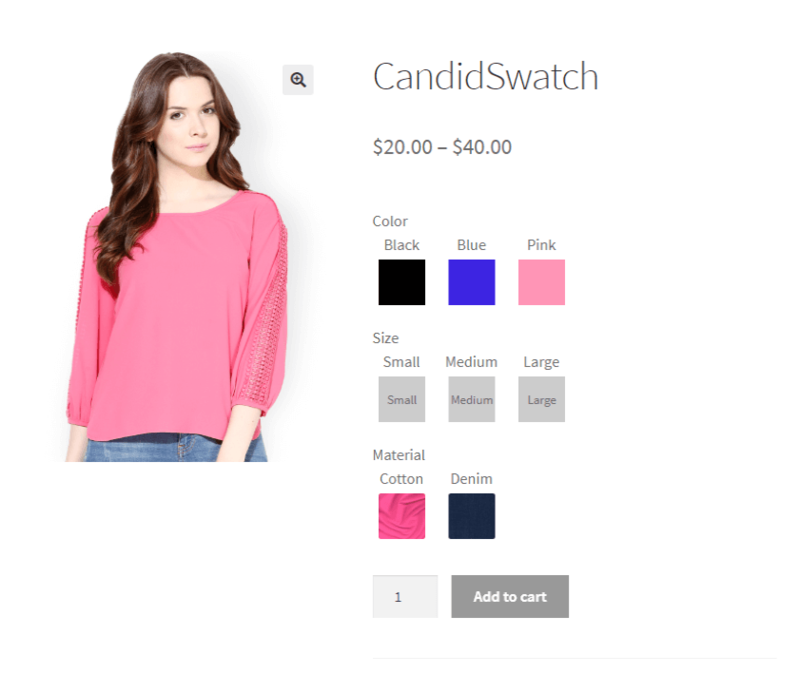 Download the zip folder of the plugin CandidSwatch – WooCommerce Variations Colors Swatches & Images.  Manual installation of the plugin is another option to install the plugin to your WordPress-environment. 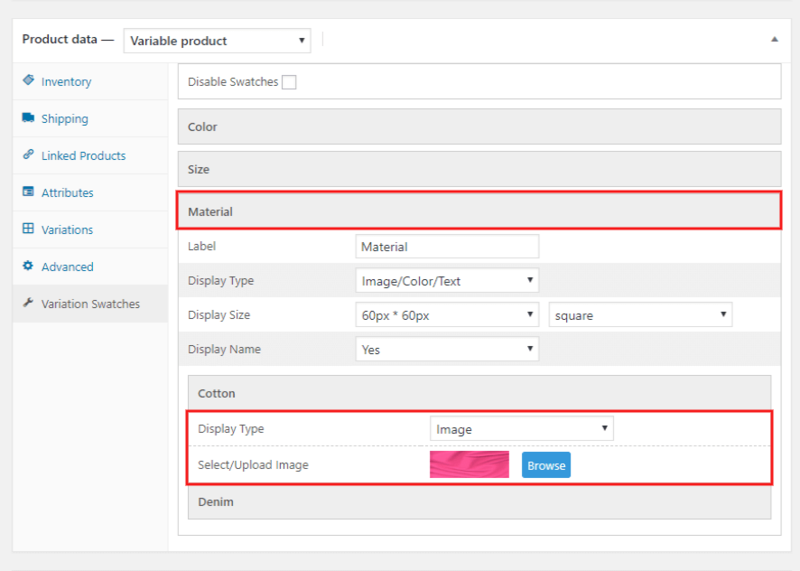 The manual installation method involves downloading our CandidSwatch – WooCommerce Variations Colors Swatches & Images Extension and uploading it to your web server via your favorite FTP application. 1. 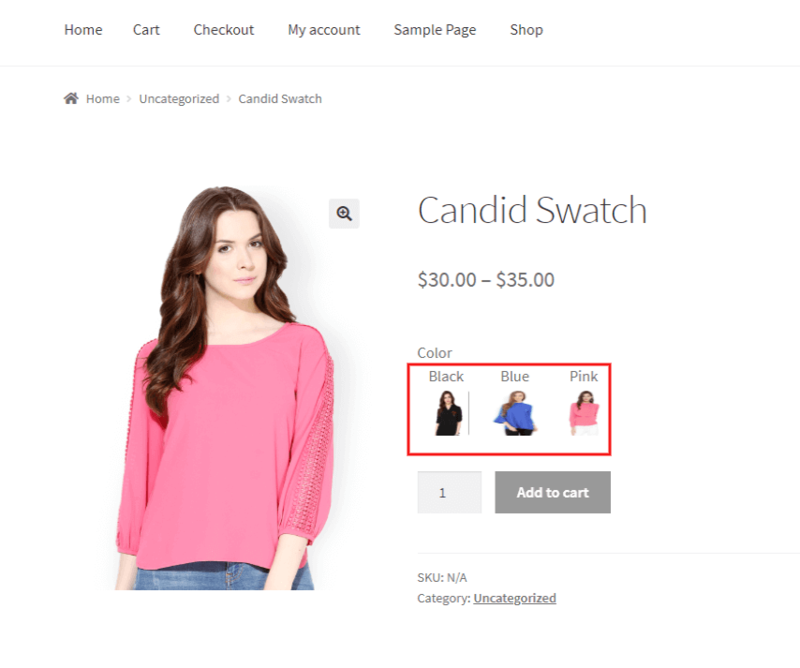 Upload the CandidSwatch – WooCommerce Variations Colors Swatches & Images folder to the /wp-content/plugins/ directory. Enable Swatches: Enable this feature if you like to use Variation Swatches. 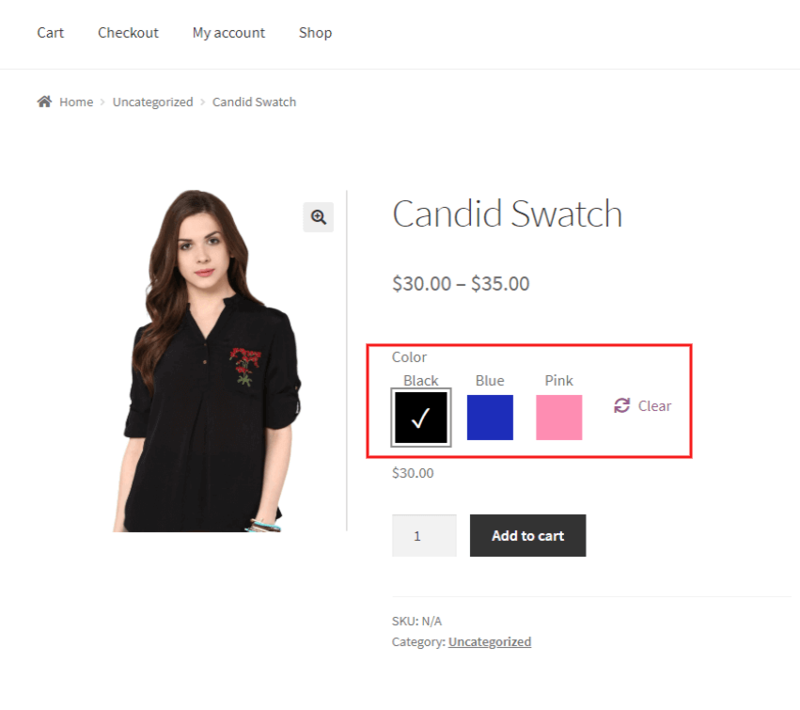 Show Swatches in Shop/Archive/Category Page: Enable this feature if you want to use Variation Swatches in Shop/Archive/Category pages. On the front end, you can see the variation swatches on the shop page. 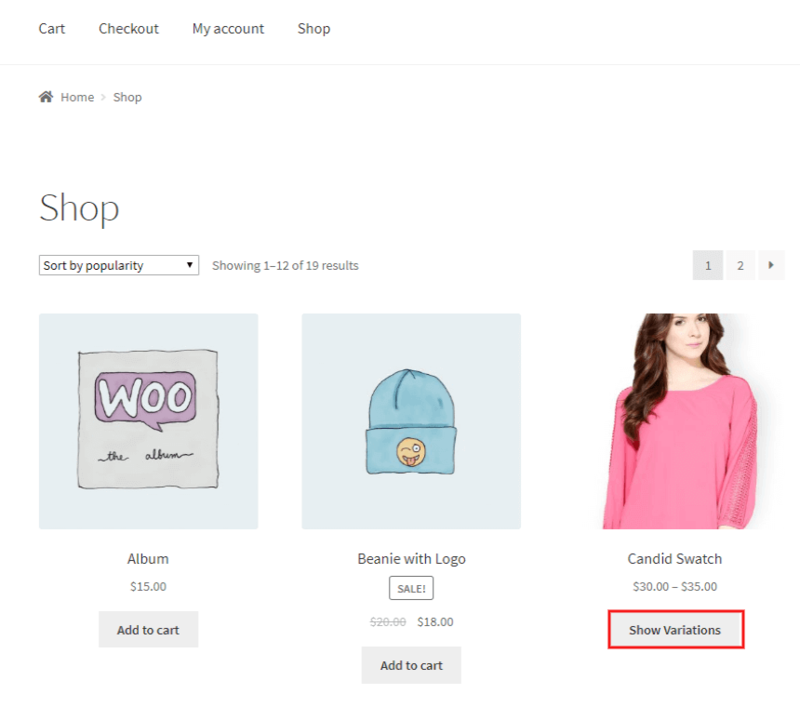 Display Show Variations Button and Hide Swatches in Shop/Archive/Category Page: Enable this feature if you want to show Variation Button and Hide Swatches in Shop/Archive/Category pages. After enabling the setting you can see the Show Variation Button on the shop page. After clicking on the Show Variations, you can see the Hide Variations Button on that particular product. Use Attributes Terms Thumbnails: Enable this feature if you like to use attributes terms thumbnails. Show Attribute Term Label: Disable this feature for hiding attribute term label. Display border on selected swatch: Enable this feature if you want to show the border on the selected swatch. Here you can see the border on the selected swatch. Attribute Term Label: Enable this feature if you want attribute text above swatches /over swatches/tooltip. Attribute Terms Thumbnails Display Type: Set the size and display type of attribute terms thumbnails. 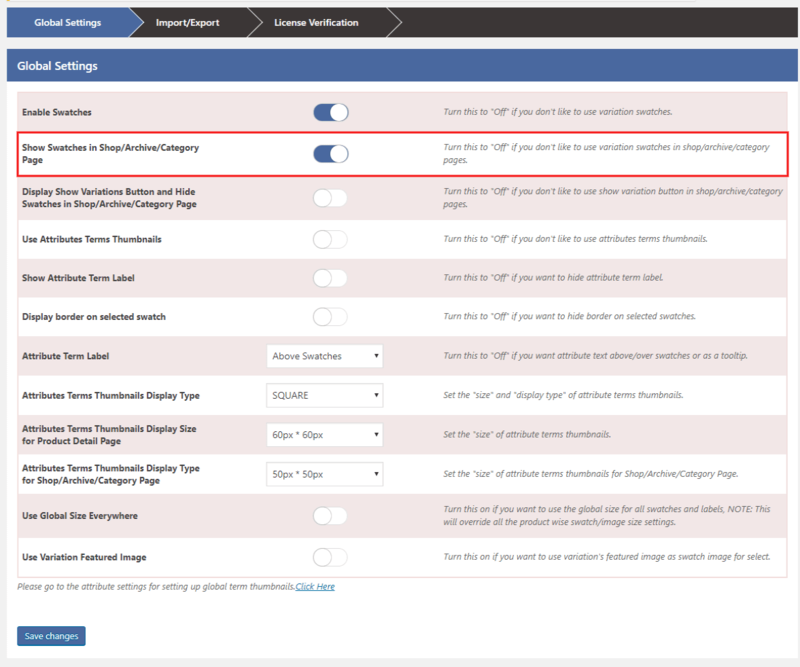 Attribute Terms Thumbnails Display Size for Product Detail Page: Set the size of attribute terms thumbnails. Attribute Terms Thumbnails Display Type for Shop/Archive/Category Page: Set the size of attribute terms thumbnails for shop/archive/category page. 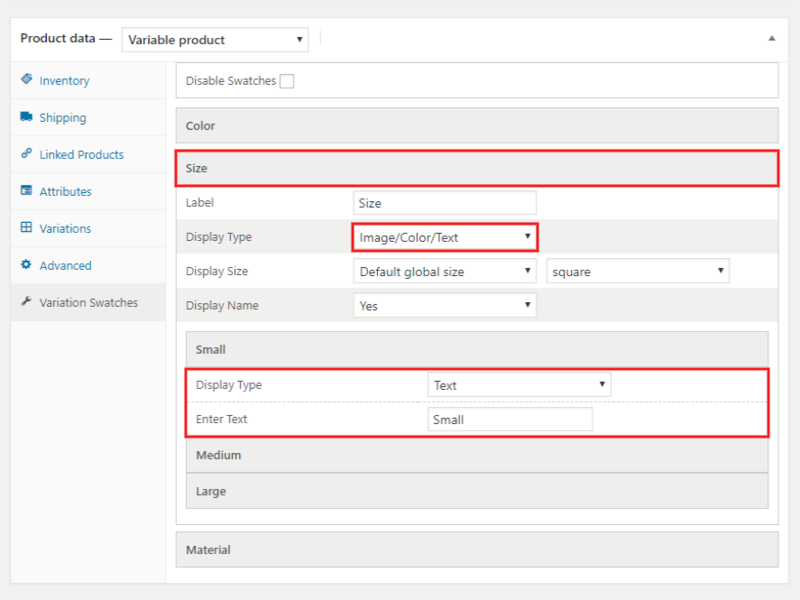 Use Global Size Everywhere: Turn on these features if you want to use the global size for all swatches and labels. Use Variation Featured Image: Turn on this feature if you want to use variation’s featured image as swatch image for select. Here you can Import/Export .cvs file of color or text or images. Here admin can set attributes globally. 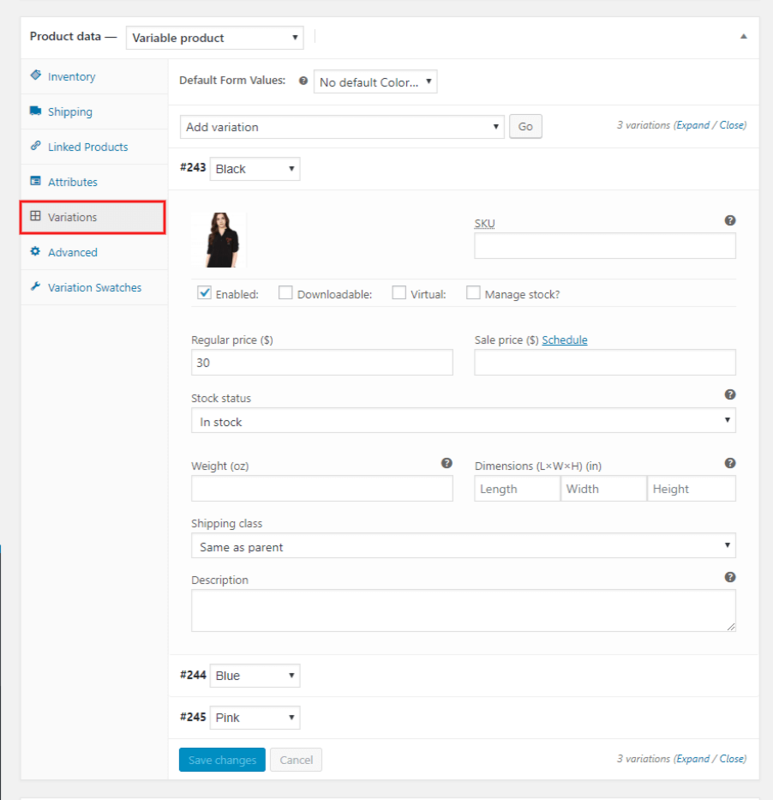 Navigate to sidebar click on Products > Attribute, here you can create a new attribute and edit/delete previously created attributes. Here you can see the edit/delete option for attributes. Here you can set the global attribute for the specific products. Click on the edit page of product > product data > variation swatches. 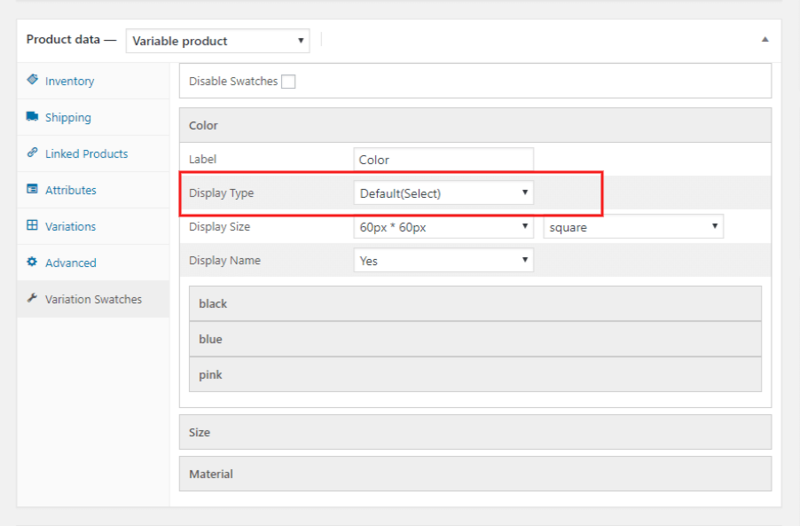 Set the display type is default on which attributes they are created globally. After creating the attribute globally, turn on Use Attribute Terms Thumbnails setting to enable the global attribute for the products. 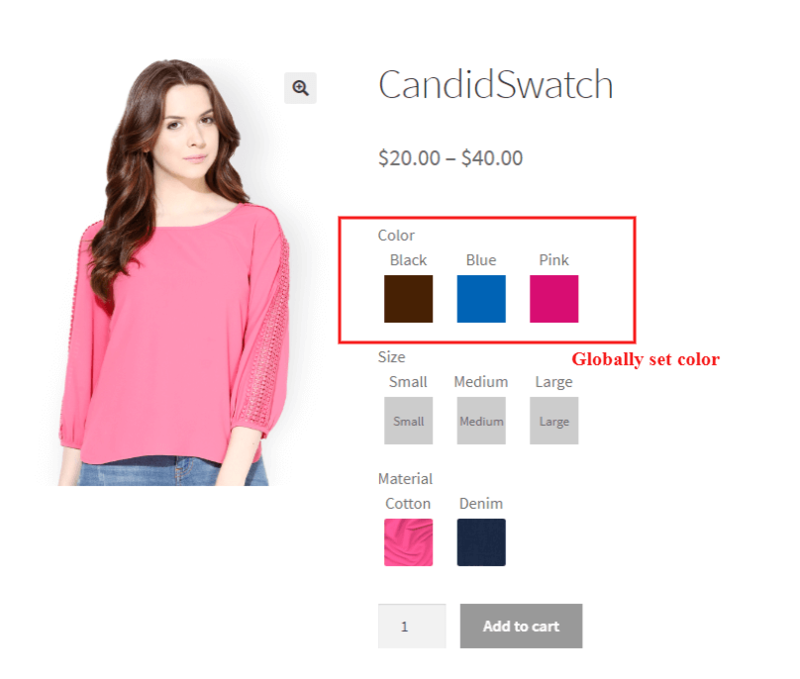 On the product page, you can see the global attribute for color. 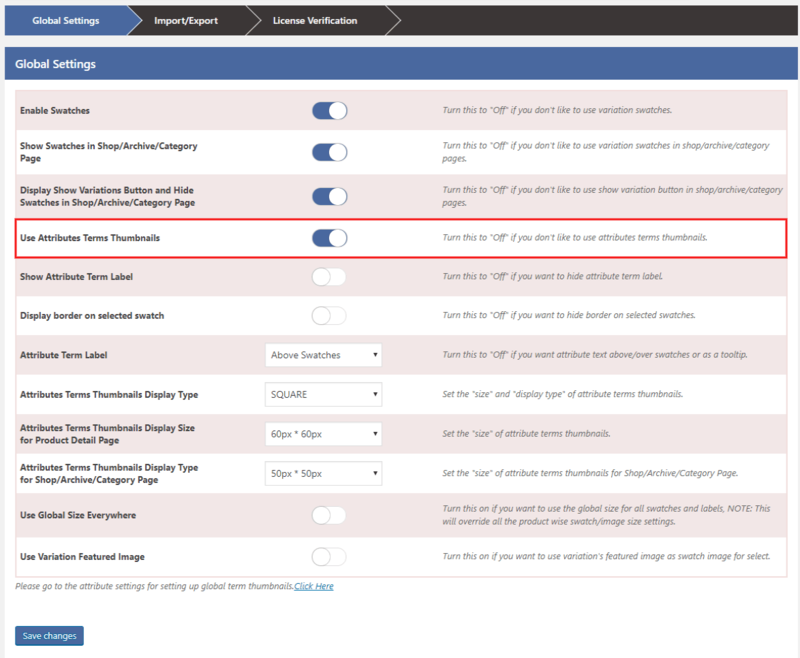 Through this setting, you can set the variations per product wise. click on the products > Variations Swatches. 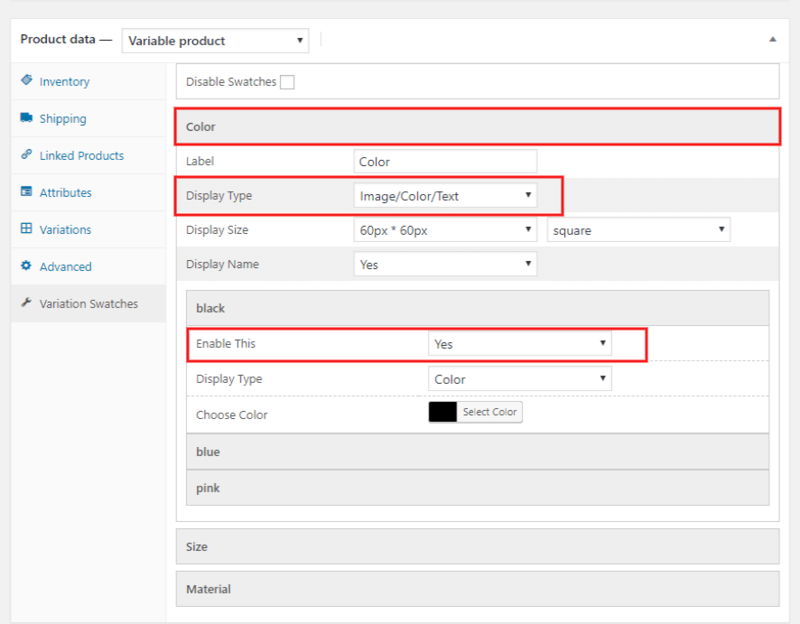 Here you can set the color of variable products. Set the size of variable products. Set the Materials of variable products. Now you can see the per product variation swatches of the product. 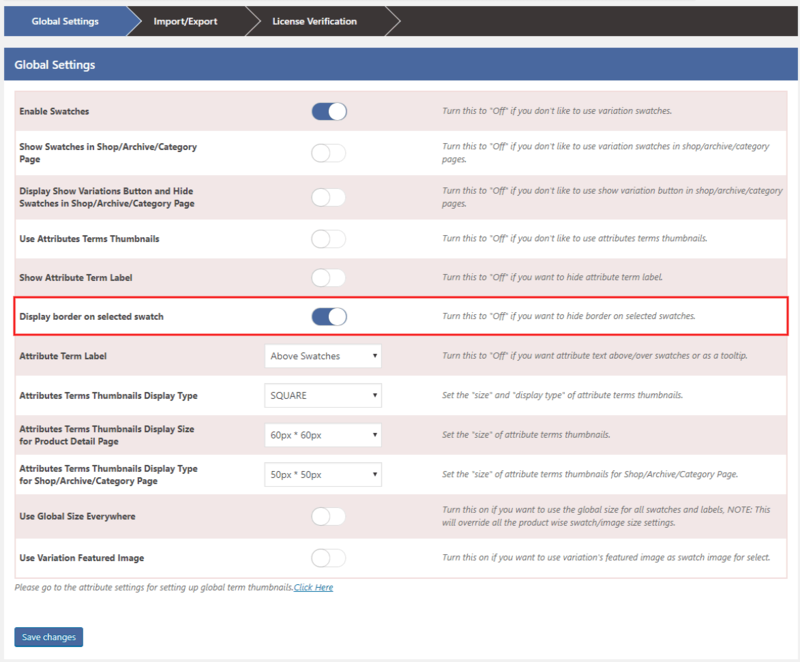 Enable this setting if you want to use variation’s featured image as swatch image for the selected product. Now we can set the featured image for color swatches. Click on Variations, goto the Add Variation and click on “Go” fill all the required fields and set a featured image. Here you can choose only those colors they are previously selected under the attribute section. 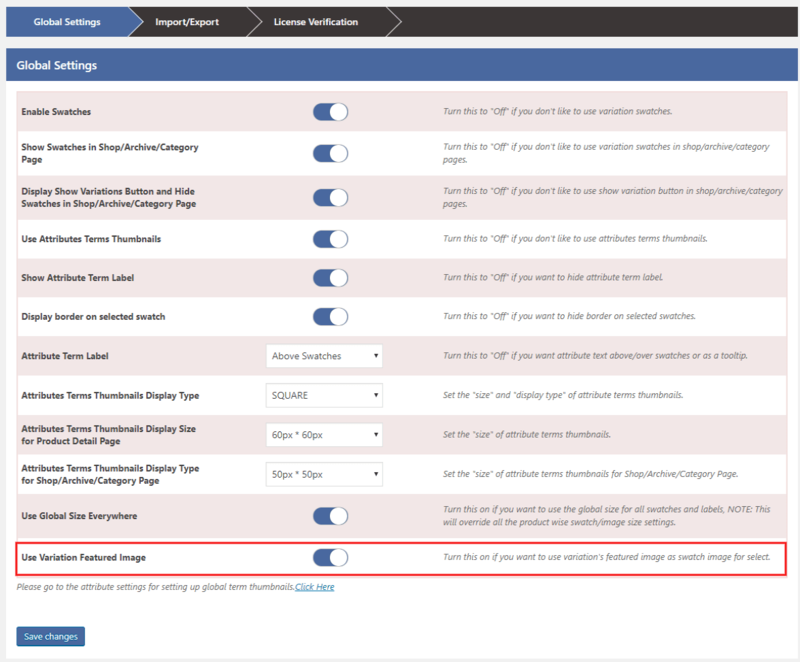 And last, enable the “Use Variation Feature image”. Now you can see the featured image as the color swatches. On the product detail page, you can see the color swatches as the featured images.